If Oktoberfest is on your list (and we're sure it is), then you've got to do it WHOA adventure style! 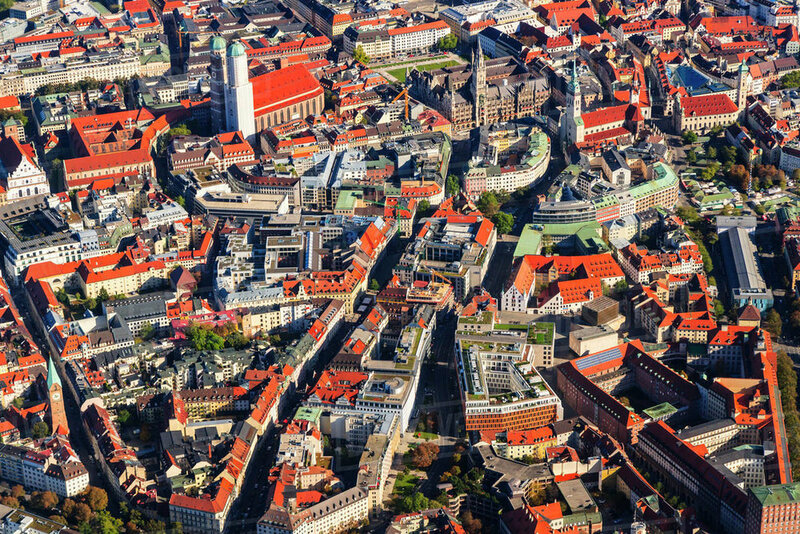 We start by going off the beaten path to hike, bike and paraglide in picturesque Bavarian towns, and end with beer, dancing and more beer in Munich at the Oktoberfest. You'll get to experience local spots and celebrate like true Bavarians do - this is the best, most unique way to take in all Bavaria has to offer at this time of year! Arrive at the Munich Airport (MUC) by noon to meet the group. Once we're all together, we'll hit the road and head to the picturesque town of Füssen, nestled in the foothills of the Bavarian Alps. We’ll get to stop by one of our favorite trachtn shops, a traditional Bavarian store for buying dirndls and lederhosen. We’ll spend the night in a charming guest house that feels straight out of a fairy tale, and feast on a traditional Bavarian meal (complete with some of that world famous bier)! After breakfast, we'll hop on bikes and take the famous romantic road towards Neuschwanstein Castle. Once we arrive, we'll park our bikes and take an off the beaten path hike to the palace of eccentric King Ludwig. We’ll continue hiking over and past the Marien Brücke to get the most spectacular views of the castle, and enjoy a little picnic lunch. In the afternoon, we'll hit the road to Garmisch and make stop in Austria to cross the world's longest pedestrian suspension bridge! (Did we mention this trip was epic?!) You'll have the evening free to explore and enjoy the idyllic Bavarian mountain resort town of Garmisch. After breakfast we'll head to the famous Olympic Stadium where we'll begin a hike through the dramatic Partnachklamm gorge up to a hidden beer garden that overlooks the Bavarian Alps. After enjoying a much deserved beer we'll take vintage cable cars down the mountain. Next stop: paragliding! You'll take off and soar over the Zugspitze, the highest mountain in Germany! (Note: Paragliding requires specific wind conditions, so depending on the weather the schedule of this day might flip flop.) You'll have the evening free to explore, shop and hit up a few of our favorite local joints! 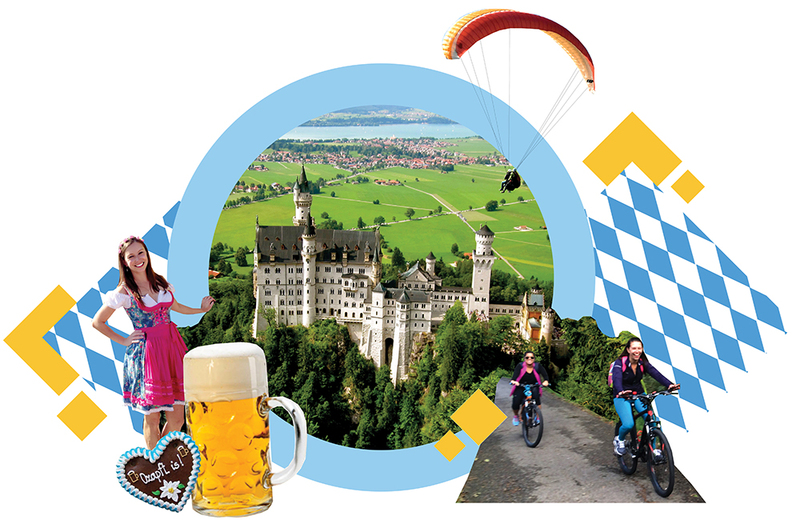 Today, we'll cruise the historic streets of Munich (dirndls optional) with Mike's Bike Tours. It's the best way to see the city and learn about it's rich history! We'll end the trip riding through the beautiful English Garden to the Chinesischer Turm (the second largest beer garden in the world) for some much deserved refreshments!